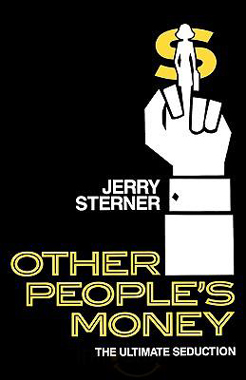 Jerry Sterner’s 1989 play, Other People’s Money, plays to different groups of people as key players battle for the principles on both sides of a corporate takeover attempt. Both the play, and director Norman Jewison’s 1991 film based on the play, present, in dramatized form, the arguments for and against corporate takeovers. The story begins with Bill Coles, President, and Andrew “Jorgy” Jorgenson, Chairman, of New England Wire and Cable (NEWC) discussing the imminent visit of Lawrence “Larry the Liquidator” Garfinkle (Garfield in the film). Coles is polished and handsome and in his mid-forties. Jorgy’s sixty-eight-year-old father built the company and Jorgy has been the chief executive for thirty-eight years, running the company much like his father had run it. The nervous, skeptical, and concerned Coles warns Jorgy that Garfinkle is a shrewd and cunning takeover artist from New York City but Jorgy ignores his advice and plays the visit off as unimportant. The forty-year-old obese Larry Garfinkle targets corporations with undervalued assets and works to acquire a controlling interest in them. Straight-shooting but shrewd, Garfinkle goes to NEWC to try to gain approval to buy the company. During the initial meeting, Larry makes known his intentions to take over NEWC. He tells Jorgy and his management team that his computer, Carmen, that specializes in scanning the economy for undervalued stocks, has identified NEWC as an appealing target having no debt, no pending lawsuits, a fully-funded pension plan, valuable assets, and a strong liquidity position. Also identified during the process was an antiquated and obsolete division, the Wire and Cable Division, in desperate and immediate need of reengineering and diversification. The Wire and Cable Division has consistently been losing money and its losses have been subsidized by the profits of the other divisions of the company. Garfinkle, Coles, and Jorgenson discuss the value of NEWC and come up with $30 million of equipment, $10 million in land, $60 million in non-Wire and Cable divisions (i.e., plumbing supplies, electrical distribution, and adhesives), and $25 million in working capital. Garfinkle rounds the total down to $100 million and divides by 4 million shares of common stock to obtain a value of $25 per share. Before Larry started buying, the market value of NEWC stock was $10 per share. Larry owns just under five percent of NEWC’s shares. At five percent he will be required to file statement 13-D with the SEC. Such a filing informs the public of the existence of a significant block of common stock ownership. Larry leaves NEWC but he is visited shortly thereafter by Coles in his New York office. Coles tells Larry that in two years he will take over when Jorgy retires and that he could grow the company and make the stock worth much more money. Garfinkle says that he will have no part of this waiting business. When Coles returns to NEWC he tells Jorgy that Garfinkle now has eleven percent of the stock and that he intends to take over the company. Coles explains that Garfinkle’s goal is to find businesses worth more dead than alive, to gain control, and to liquidate them. He explains that NEWC can do things to protect the company such as changing the by-laws to call for a two-thirds majority rather than fifty-one percent and changing the state of incorporation from Rhode Island to Delaware where it is easier to get changes made. Jorgenson is not worried and points out that he owns twenty-five percent of the stock, the board owns ten percent, and the employee stock ownership plan has five percent. He asks Coles how Garfinkle can gain control and Coles tells him that it would come from the sixty percent left. Jorgy scoffs at this because he has faith in his long-term stockholders. At a follow-up meeting at NEWC, Larry states that it will be necessary to sell the Wire and Cable Division which has become a victim of obsolescence. Garfinkle explains that liquidating the Wire and Cable Division is necessary to protect the company’s three other divisions and to do what is right for the shareholders. He points out that the original business has been losing money for years. The other divisions’ profits are offset by these losses. It follows that the Wire and Cable Division should be liquidated and that the proceeds should be redeployed into either the other more profitable divisions or perhaps into new ventures. Jorgenson is infuriated and wants nothing to do with such a deal and he sends Garfinkle packing. The paternalistic Jorgy values tradition, community, stability, and predictability and feels that he, his employees, and the community all have too much to lose to permit liquidation of the division. He wants to keep the factory open in order to keep the town alive and its citizens employed. Jorgy cannot believe that Larry lacks a social conscience and Larry is amazed at how nice of a guy Jorgy is. Bea Sullivan, Jorgy’s long-time assistant and lover, has a daughter, Kate, who is an attorney with Morgan Stanley on Wall Street. Bea pleads with her to fly up to NEWC to talk about takeover defenses. Kate resents Jorgy for ruining her parents’ marriage as Bea practically moved in with Jorgy after his wife died. Kate offers a number of good out-of-court options but Jorgy stubbornly turns down each one of them. She first suggests greenmail which is an arrangement whereby the target company buys back the stock at a substantial premium to avoid a takeover. Jorgy says that he does not deal with predators. Kate next suggests hiring private investigators to get some dirt on Garfinkle. Her third recommendation is to find a white knight which is a larger protector company that would buy out NEWC’s stock and allow NEWC the freedom to do business any way it wants to. During this discussion, Kate and Jorgy become increasingly impatient and frustrated with one another. Kate continues and offers some riskier options. A shark repellant involves making the company undesirable to an unwanted suitor. This involves selling the most attractive part of the company (i.e., NEWC’s non-Wire and Cable Divisions) at a low price. This option gets triggered only if someone not currently on the board (e.g., Garfinkle) amasses thirty percent or more of the stock. The shark’s shares will be worth a lot less than he paid for them. Kate’s last recommendation is to create a poison pill—a type of shark repellant. Here the board would authorize preferred stock, one share for each share owned by everyone except Garfinkle. These shares would be offered at one dollar per share and NEWC’s common share value and earnings per share would be diluted. Jorgy is resistant to Kate’s good suggestions, which she made thinking he was a rational businessman. Unfortunately, he is stubborn and selfish. He says that he does not want to harm the employees and the town but he also does not want to lose what he considers to be “his” company. Jorgy is not looking at things from the proper perspective. Both Jorgy and Bea fail to realize that others, including Garfinkle, are also shareholders who have a say in how the company is run. Jorgy is an agent for the stockholders and has a fiduciary duty to maximize shareholders’ wealth. He does not have the right to mismanage other people’s money in order to indulge his nostalgia for days gone by. He is spending the shareholders’ money, not just his own, in order to keep the Wire and Cable Division operating. The losses of this division keep the company’s stock prices and dividends down. "Other People’s Money is a fine tale of contrasting opposites. On the one hand, there is a traditional, antiquated, semi-rundown plant in a small town in Rhode Island that is operating in an industry that has seen better days. On the other hand, there is a New York City investment corporation that utilizes advanced modern technology to identify potential takeover candidates." Kate arranges for Judge Pollard to grant an injunction preventing Garfinkle from purchasing any more shares. Larry complains that lawyers, through acts such as this, are destroying capitalism by preventing stock speculators like him from buying stock that they should be permitted to purchase in a free society. Garfinkle understands that a market for corporate control is needed for the restructuring that is essential for competition. Assets need to be used in an economically rational manner. Kate attempts to engage in greenmail by offering to buy back Garfinkle’s stock at $18 (and later $20) per share. Garfinkle has some high ethical standards and will not take part in activities that he considers to be immoral. He will not accept Kate’s greenmail offer explaining that it is immoral and unfair to the other stockholders. Greenmail is harmful to the remaining shareholders because money is paid out of the corporation to the threatening shareholder. Larry then offers to trade his one million shares for the Wire and Cable Division. With such a “restructuring” Wire and Cable Division’s losses would disappear and the profits of the other divisions would become apparent. Kate tells Jorgy that when he receives Garfinkle’s million shares Jorgy will have absolute control of the company. Jorgensen refuses this offer acknowledging that it is about his own pride as well as about the twelve-hundred men who work in the Wire and Cable Division and their families and their futures. Kate tells him that he deserves to lose the company because he will not listen to reason. Ultimately, Jorgy and Larry agree to leave it up to the stockholders. They agree to each run his own slate of directors at the annual meeting. This involves a proxy contest in which dissatisfied shareholders try to gain a controlling number of seats on a board of directors by means of a formal vote. If Garfinkle receives the majority of the votes then he brings everyone out at twenty dollars per share. If he does not receive the majority of the votes he will sell his shares back to the company at $13 per share. In the meantime Bill Coles, the President of NEWC, approaches Jorgy about a golden parachute. Coles is worried about himself and his career. After twelve years of loyal service to NEWC, he wants what is coming to him. He knows that he has been very good for the company. He asks Jorgy what will happen to him if they lose. Jorgy says that this is not the right time and fails to give Coles the security he believes he deserves. Coles sees the handwriting on the wall with Garfinkle knocking on the company’s door. He doubts that Jorgenson really understands the situation. Coles, on the other hand, sees that the corporation will not survive in its current manifestation. After Jorgy ignores his pleas, Coles observes that everyone looks out for his own self-interest. Coles approaches Garfinkle and makes a deal giving him the right to vote Cole’s 100,000 shares. In return, Coles will receive $1 million if they make a difference and a half million dollars if they don’t. Later, Bea Sullivan offers Larry greenmail in the amount of one million dollars from her trust fund. NEWC would also buy back Larry’s shares at $13 per share which is the average cost of the shares he has purchased. Bea offers this bribe because she is driven by her love for Jorgy. Her offer offends Garfinkle who says that he makes money for widows and orphans and that he does not take money from them. At the annual stockholders’ meeting, Jorgy and Garfinkle appeal to the stockholders during their proxy fight. Jorgy goes first and makes a heartfelt, impassioned, and unrealistic speech about family, friendships, community responsibility, history, tradition, loyalty to employees, and shareholder loyalty to the company. Jorgenson, a product of a bygone era, talks about how much the company has been through including a major depression, both World Wars, and the death of one company president. Jorgy ridicules the notion of “maximizing shareholder value” and explains that a business is worth more than its stock price. He says that it is a place where we make our living, meet our friends, and dream our dreams. He has hopes and goals for the Wire and Cable Division that he predicts will stand the test of time and will rejuvenate and make a comeback. Jorgy is in denial and, at best, his approach would only prolong the inevitable. Garfinkle begins his speech by saying that Jorgenson’s tearjerker speech is a prayer—a prayer for the dead. He says that he did not kill the company; rather, the market did. Advances in fiber-optics and other technologies made the Wire and Cable Division antiquated and obsolete. It cannot compete with changing technology and a shrinking market. He tells the stockholders that the business is dead and that they should collect the insurance and invest the money in something with a future. He asks the stockholders if the community and the employees care about them. He explains that they don’t care and that over the last ten years, utilities, the mayor’s salary, and the employees’ wages have all doubled while the stock price fell to one-sixth of what it was. Larry states that he is the stockholders’ only friend and that they should take the money and invest it elsewhere. Garfinkle’s slate wins by a landslide. Jorgy cannot understand how the stockholders could be disloyal, tossing aside tradition and friendship to vote for a stranger who can only offer them more money. He had been confident that his fellow shareholders would support his slate during the proxy fight. Jorgy dies nearly two years later leaving over thirty million dollars in his estate with Bea as executor. She uses the money to buy the land NEWC used to occupy to set up an employee retraining center which places about one hundred workers (of the twelve hundred that had worked at the plant) in jobs. Coles moves to Florida to run a mid-sized division of a nationally-known food processor. Kate affirms her actions against her mother and Jorgy when she leaves Morgan Stanley to work with Larry and shortly thereafter becomes his wife. They have a set of twins. The film version of Other People’s Money has a different, tacked-on, stereotypical, happy, Hollywood ending—bad endings do not sell films. The final scene in the movie shows Kate phoning Larry with a solution that comes out of the blue—what could be called a Deus Ex Machina solution. Kate has been presented with an offer from a Japanese firm to use the plant to produce automobile airbags from stainless-steel wire cloth. Kate calls Larry with a proposition to sell the plant back to an employee-owned wire and cable company that would manufacture these airbags. Jorgy’s personal pride (hubris) in his company was his fatal flaw. He saw himself as the paternalistic protector of his workers and the community. At best, however, he appears to have merely possessed marginal business competence. He neglected his responsibility to the stockholders, failed to recognize that the Wire and Cable Division was in a shrinking market, and did not keep up with the innovative technology in the industry to which he could have converted. Jorgy did not grow as a manager and he failed to look for ways to make the Wire and Cable division profitable. He was immutable during the whole story and accepted little advice from anyone. The tradition-oriented Jorgensen did not evolve with the times and ran the company as it had always been run. Ideas basic to capitalism such as market dynamism and creative destruction appear to have had no meaning to him. Both capital and employees could have been reallocated to more profitable uses. Jorgensen wanted what he thought would be best for the company, its employees, and the community. He said that he placed his workers first, but if he really did care for them he would have upgraded the plant and adjusted to market demands. Although he sounded sympathetic, he failed to do his job well. He could have benefited the employees more if he had kept up to date technologically and manufactured a product that was demanded in the marketplace. Although one can sympathize with the kind and decent Jorgy, who suddenly found himself having to make difficult decisions, at root he was at fault and could have avoided this situation if he had kept up with the times. The story can also be viewed as what happens when a traditional corporation such as NEWC is unable and/or unwilling to react to an external threat in the form of a corporate takeover attempt made by a modern organization of the future (Garfinkle Investment Corporation). With no debt, NEWC had an inefficient capital structure. If NEWC had issued a substantial amount of debt to leverage the company, it would not have been as attractive to a takeover artist. NEWC had a lot of cash, many liquid assets, a fully-funded pension plan, and a debt-to-equity ratio of zero. Of course, financial leverage, the degree to which a firm uses borrowed funds, is a two-way street. There can be too little or too much financial leverage. When the debt-to-equity ratio goes up to a certain number, investor confidence in the company is apt to drop sharply. Jorgensen could have fought the takeover attempt by implementing one or more of Kate’s suggestions but he was too stubborn to do so. Or, even better, he could have recognized that it was the right time to shut down or sell the underperforming division. If Jorgy was really worried about his obligation to the workers, he could have worked things out with Larry. They could have agreed to humanely and effectively use retraining and outplacement services for employees who were laid off due to such strategic rightsizing. The result would not only have been a savings in severance payments, but also good public relations and the maintenance of morale and productivity for the remaining employees in the company’s other divisions. It is possible to be sympathetic to the needs of people while, at the same time, recognizing one’s obligation to stockholders and the need for creative destruction. Attending to the wellbeing of one’s employees can be compatible with maximizing shareholder value. Garfinkle was a man of integrity whose moral principles were based on a process or equity theory of justice. He viewed corporations as voluntary associations and as private property. A corporation is a form of property created by individuals in the exercise of their natural rights. Larry understood that managers have the obligation to use the shareholders’ money for specifically authorized shareholder purposes, which usually amounts to the maximization of shareholder profits. Managers are employees of the stockholders and have a contractual and hence moral responsibility to fulfill the wishes of the shareholders. A manager is an agent of the owners of the corporation and has a fiduciary responsibility to them. When a CEO is not fulfilling this fiduciary responsibility then he is open to be voted out of office by the owner shareholders taking control of the board of directors. From this context, the takeover of NEWC can be seen as a humanitarian act and Larry can be viewed as a hero and not as a villain. Larry told Kate that a person should make as much as he can for as long as he can. It is likely that he was referring to much more than money. Garfinkle wanted to succeed and flourish by getting as much out of life that he could with respect to his work, lifestyle, love, material wellbeing, and so on. The story’s doughnut metaphor stands for Larry’s hunger to obtain, to consume, and to win. Kate, herself, was a challenge for Garfinkle. Despite an awkward and unlikely love affair, they ended up happy together in the end. Other People’s Money is a fine tale of contrasting opposites. On the one hand, there is a traditional, antiquated, semi-rundown plant in a small town in Rhode Island that is operating in an industry that has seen better days. On the other hand, there is a New York City investment corporation that utilizes advanced modern technology to identify potential takeover candidates. Most importantly, we have the clash of two men whose worldviews could not be more opposite—the sentimental communitarian Jorgy, and Larry, the cunning but principled capitalist.